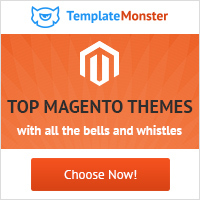 Essential Magento Extensions for your Online store - Halloween Special Offer 25% for magento extensions. Please use coupon code HALL25 in shopping cart page to receive 25% discount. Our top extensions are being used in Thousands of Customer websites world wide. We offer Money back guarantee for all the extensions and free tech support. Special offer Free Installation for a Limited period.